The boys over at Citizen Brick have something for breaking that bad addiction… The ‘Unofficial’ Breaking Bad Lego Playset. Now YOU can recreate all of your favorite cringe-inducing scenes in your very own meth lab! This industrial laundry superlab has everything you'd expect in a multimillion dollar meth-cooking outfit. 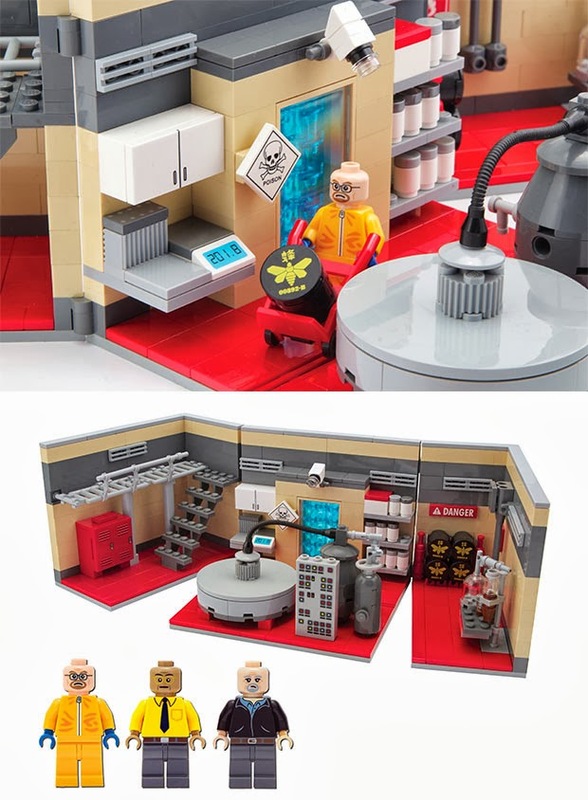 This set comes with over 500 pieces, including some with pretty incredible decals, as well as three custom minifigs: Walter White, Gus Fring, and Mike Ehrmantraut. Click Here to Buy.